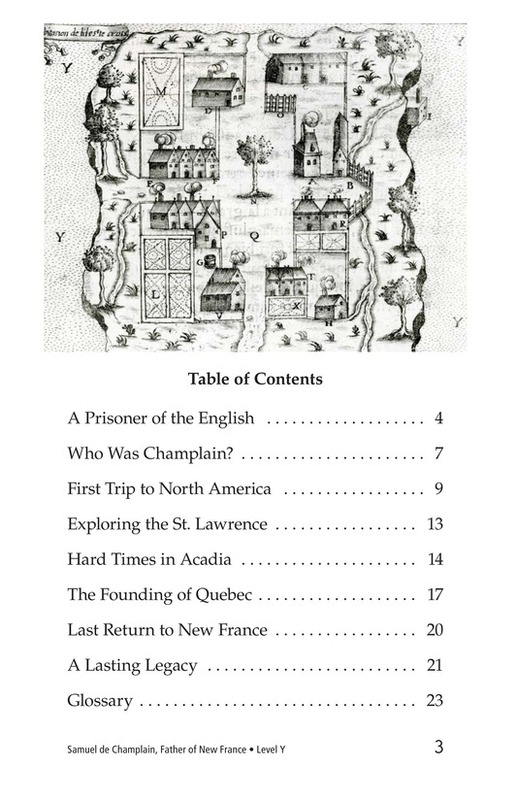 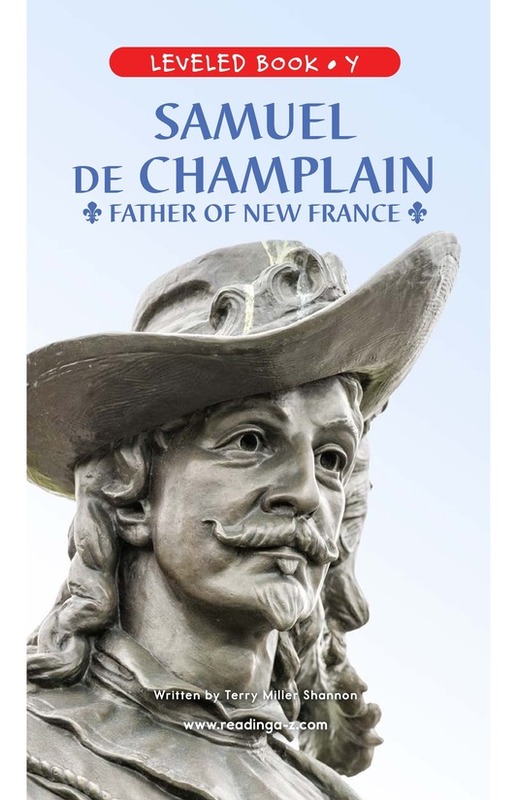 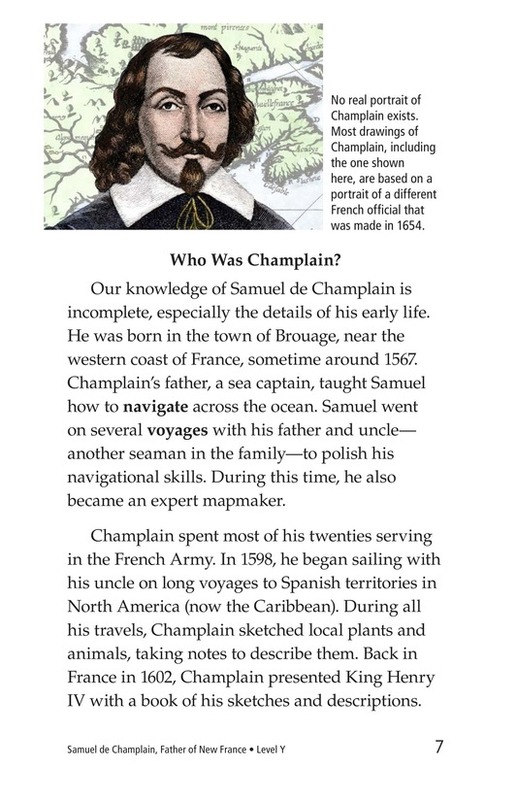 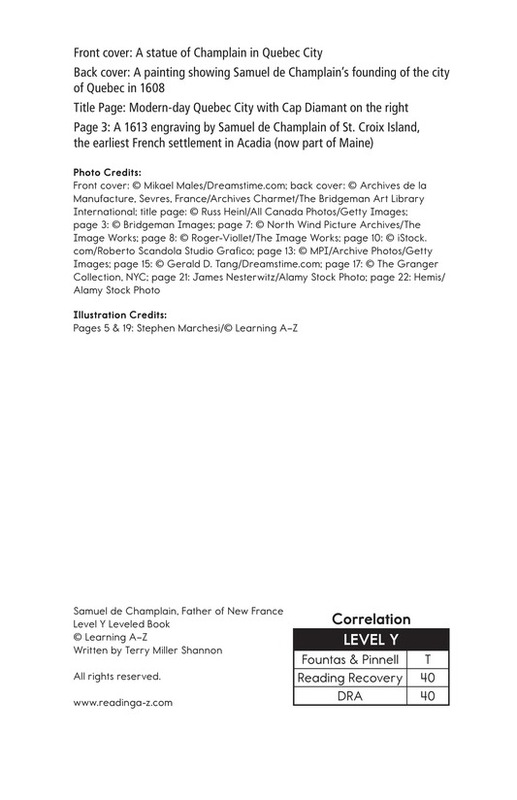 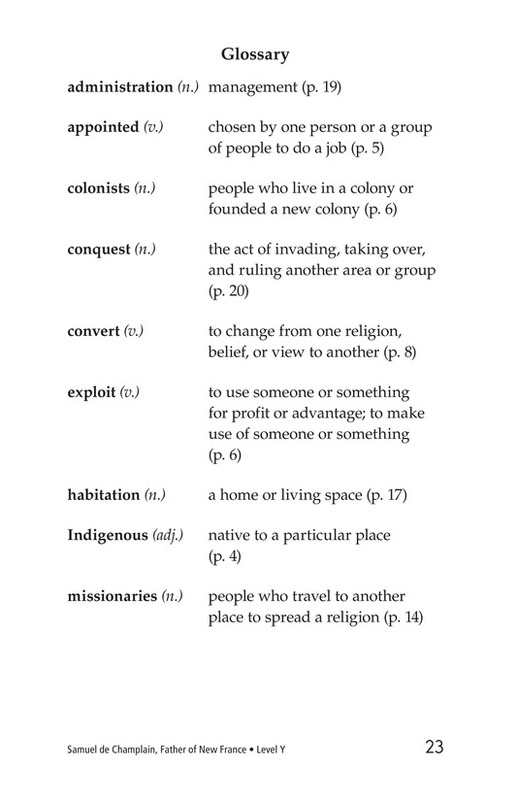 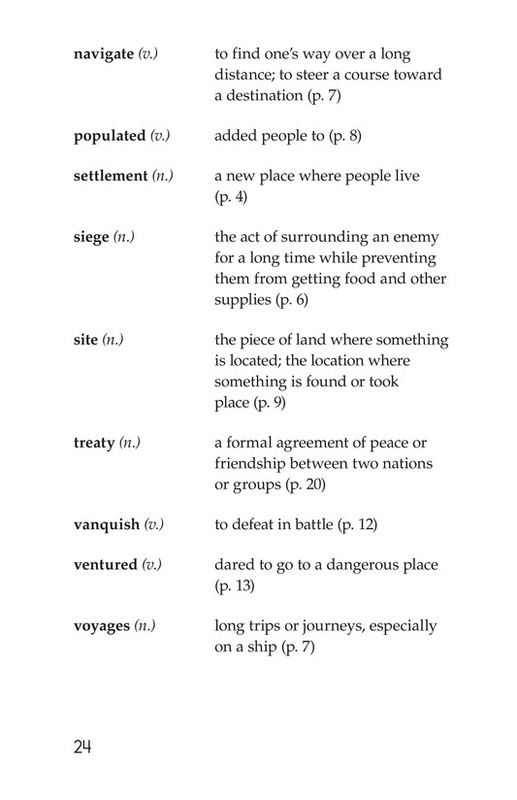 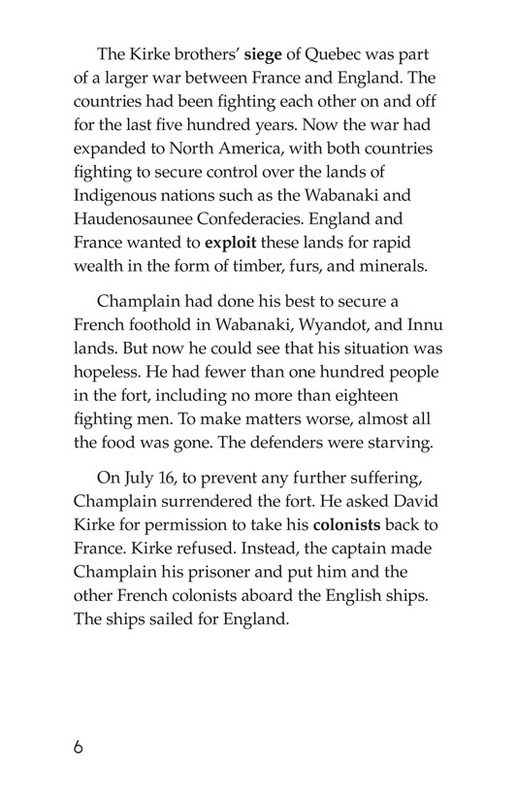 Samuel de Champlain, Father of New France is a biographical text that focuses on the challenges and adventures of an accomplished French explorer. 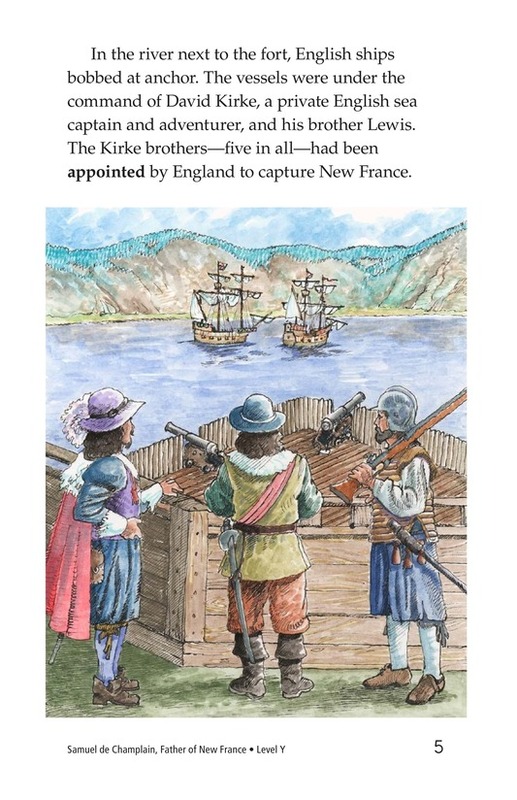 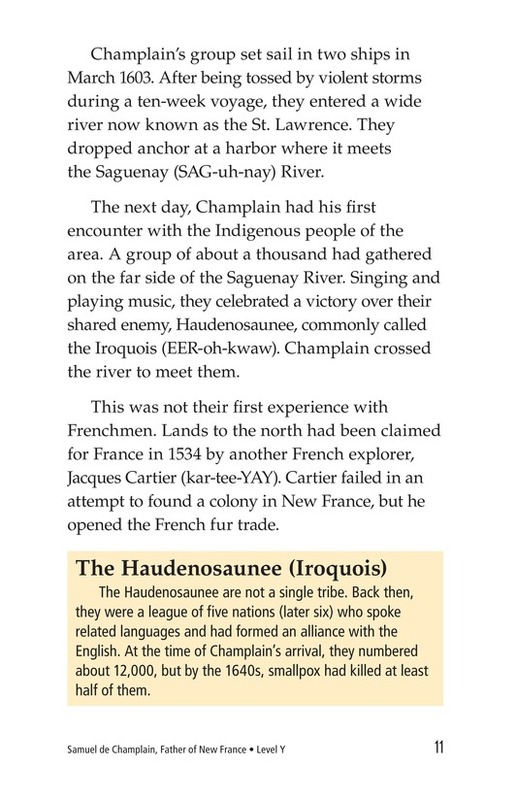 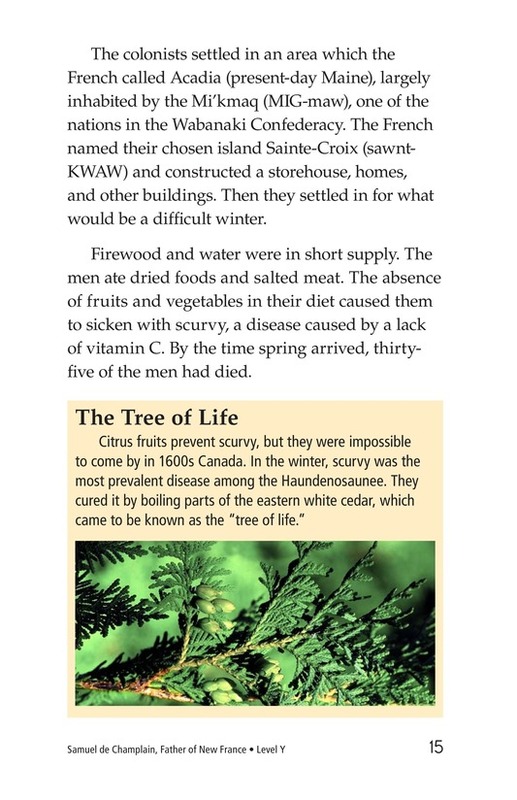 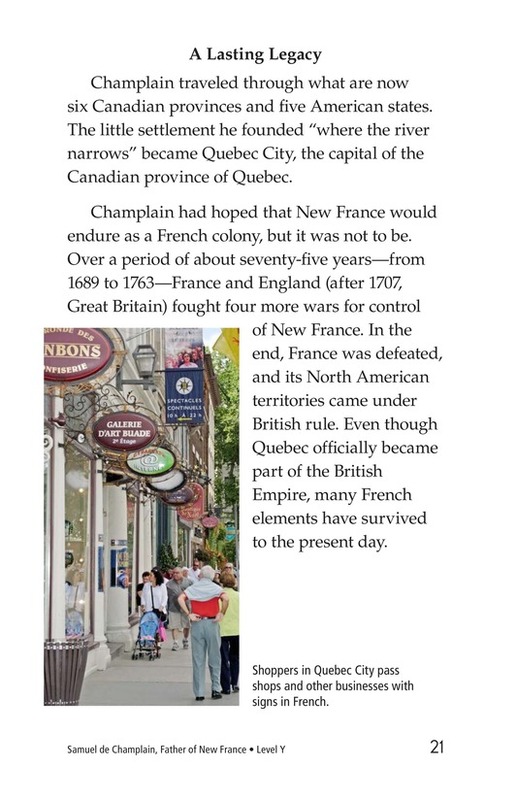 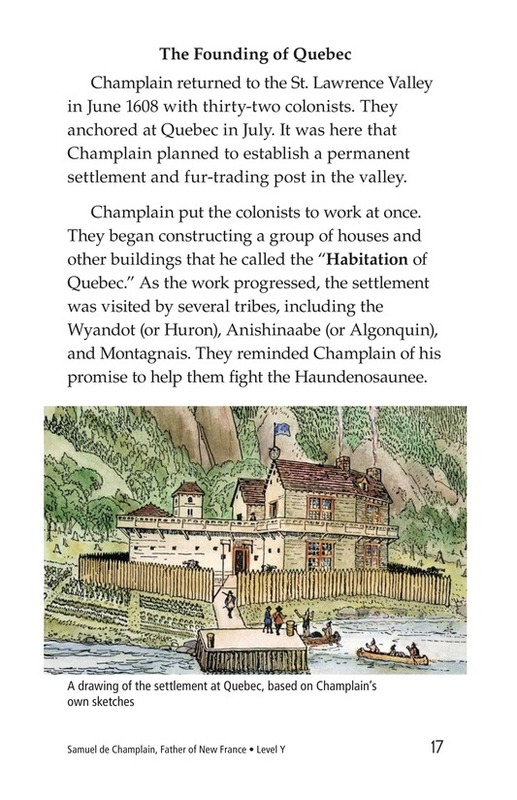 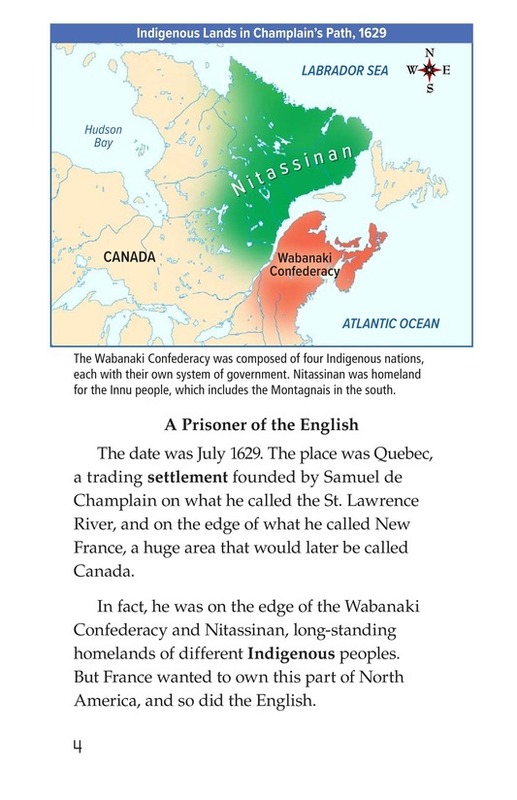 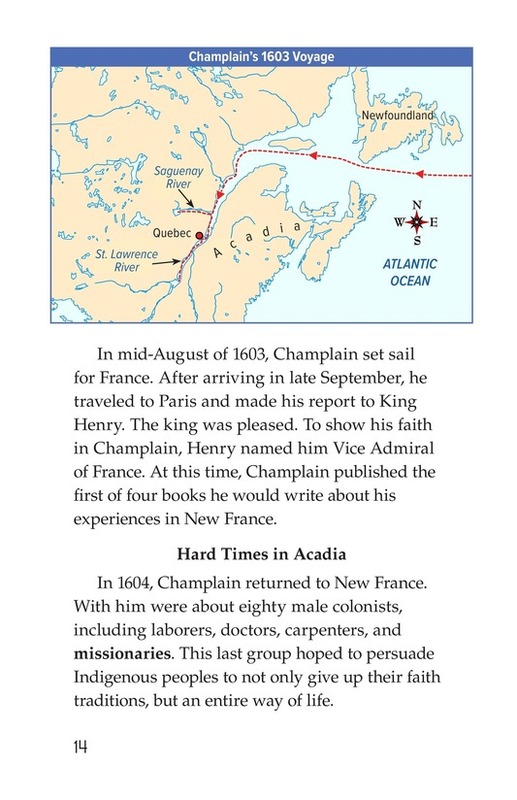 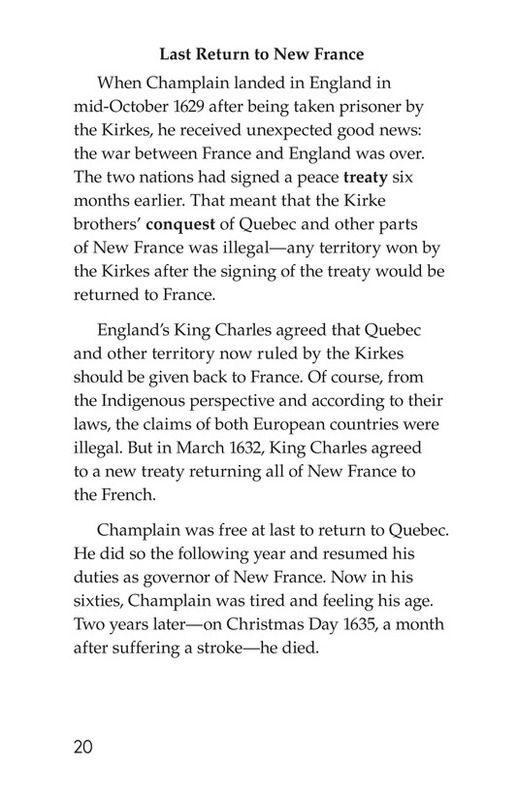 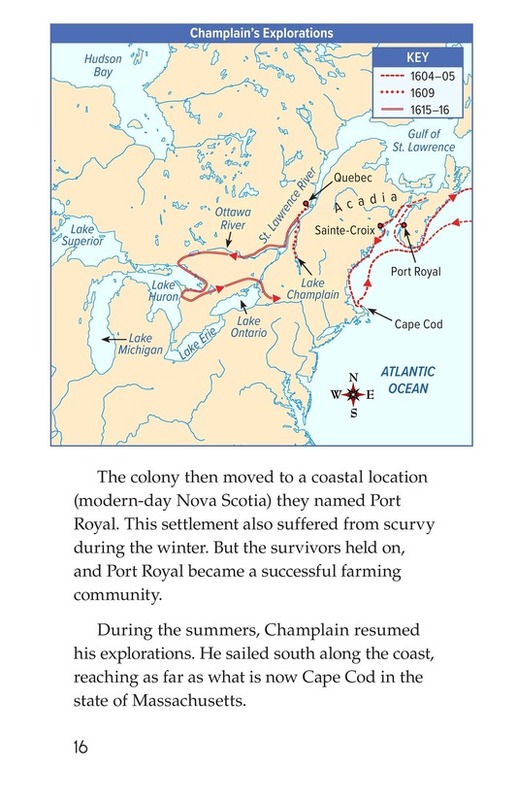 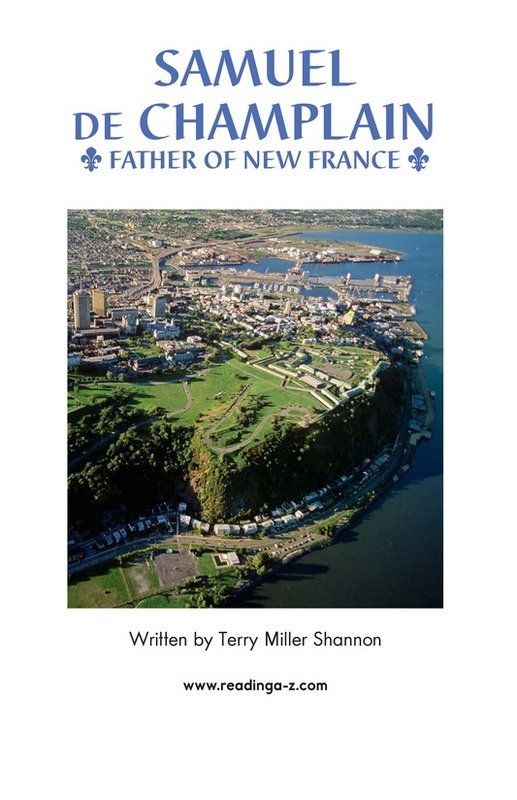 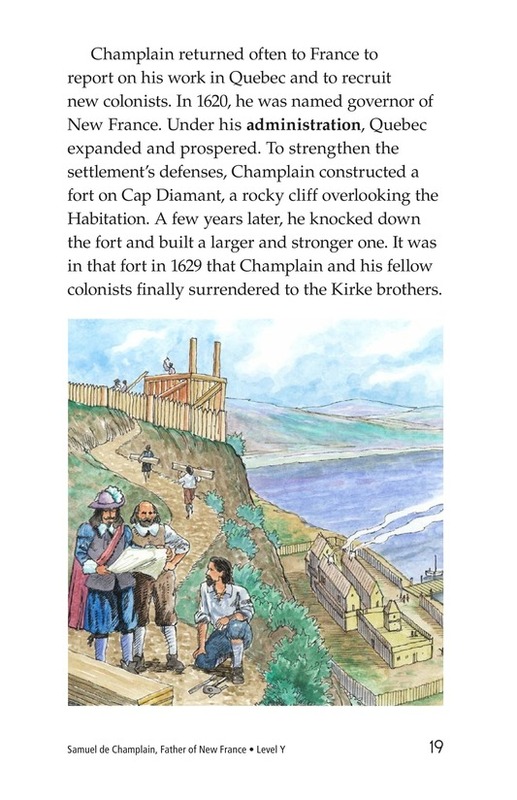 The book details how Champlain's early education and training prepared him for a lifetime of exploration and helped him to establish a lasting French settlement in Quebec. 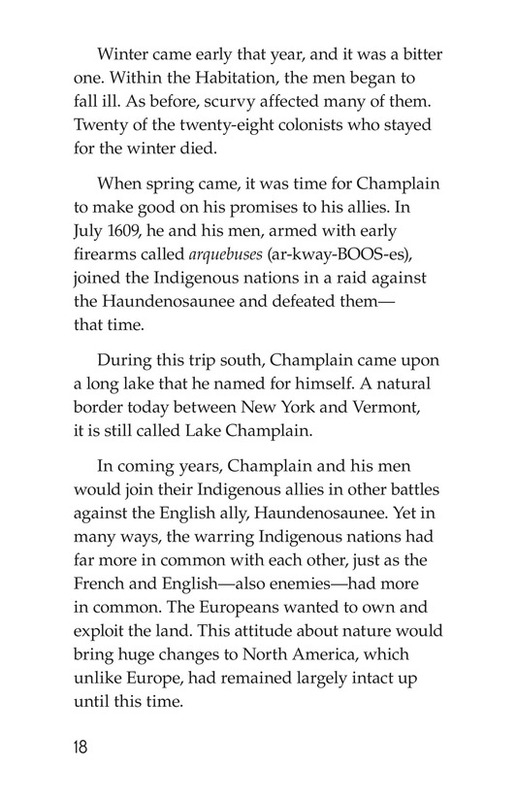 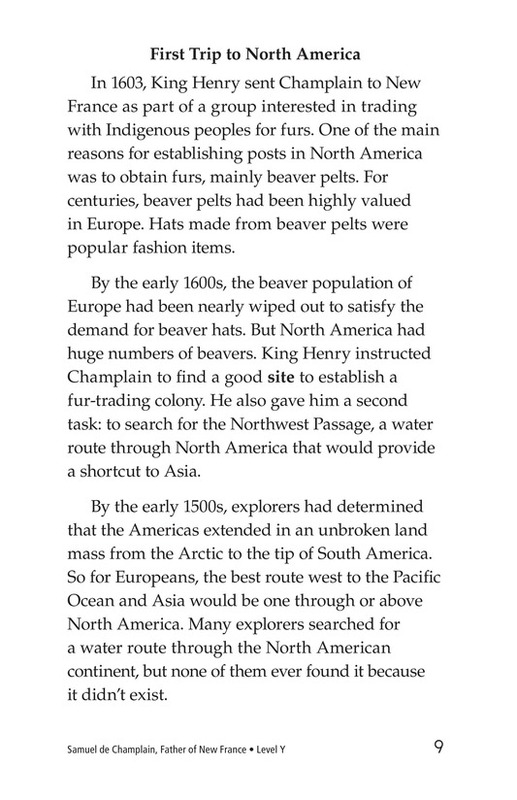 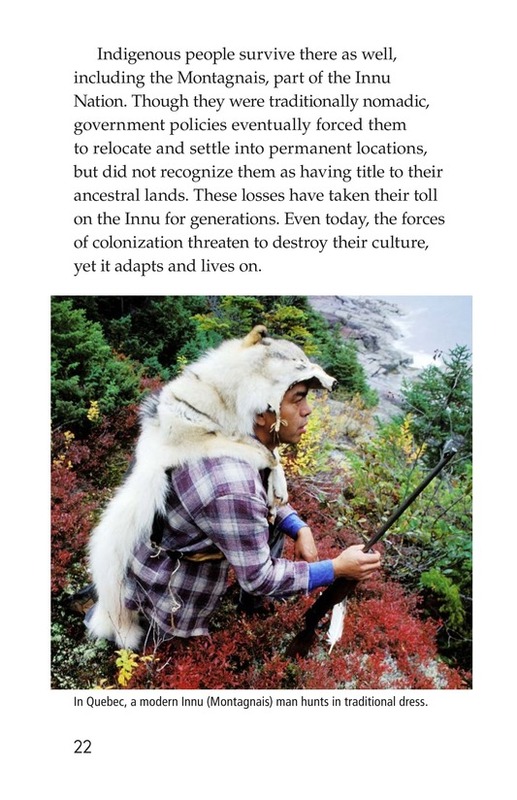 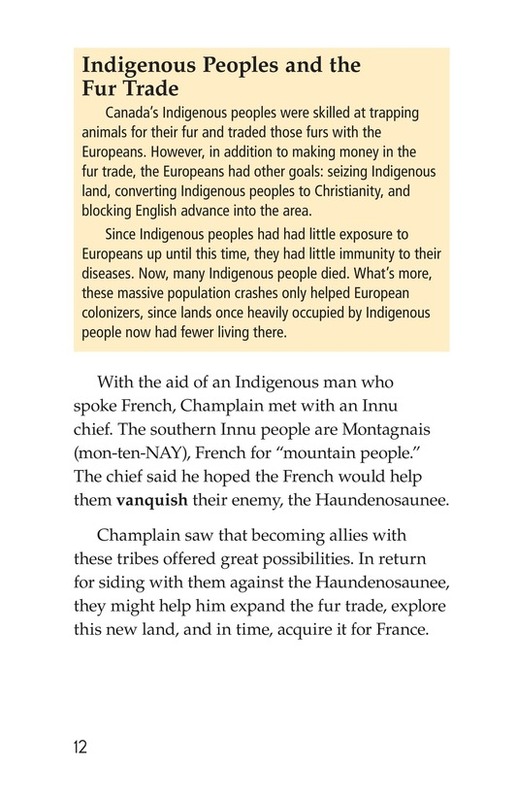 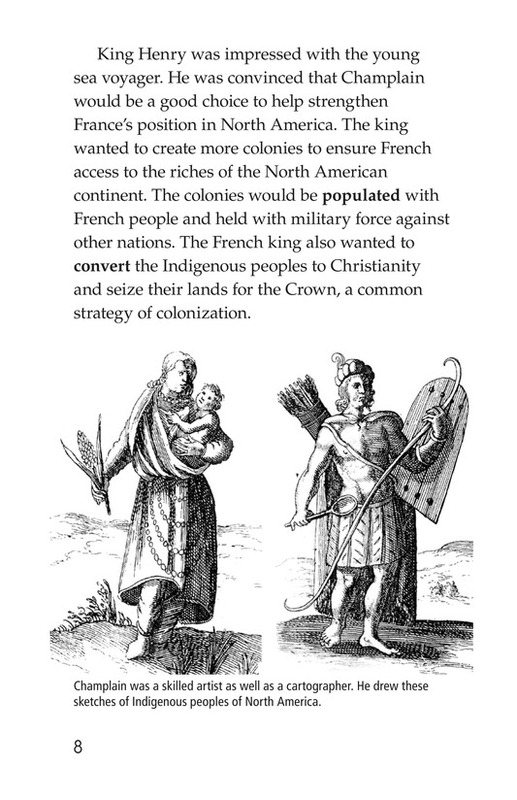 The book also explores Champlain's relations with different Indian tribes as he attempts to expand the thriving fur trade. 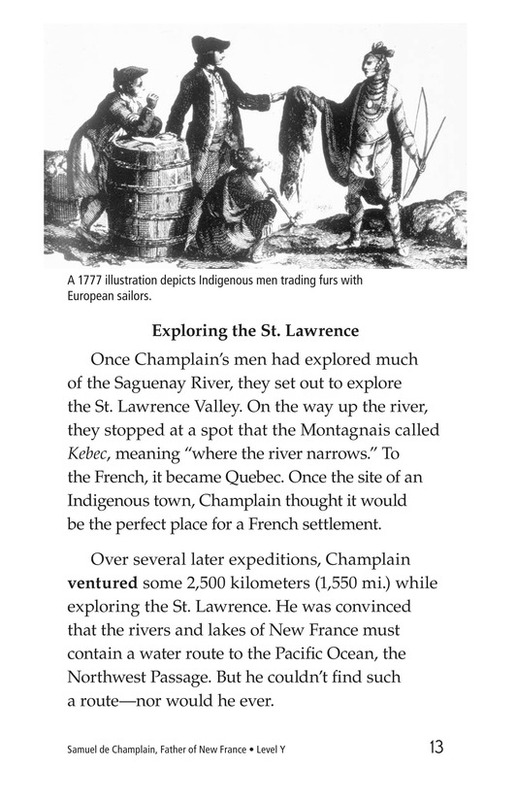 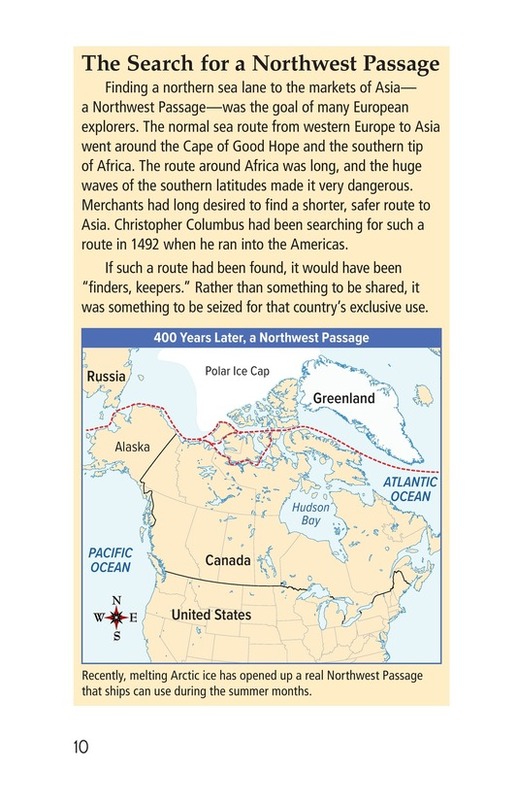 Detailed maps trace Champlain's explorations through what are now six Canadian provinces and five U.S. states.